Ibn Taymiyya… reaches to the core reason for respecting the tafsir of the Companions: they ‘were more knowledgeable of the truth with which God sent His Messenger’. Once that historical connection weakened or was lost altogether, tafsir scholarship (as also scholarship on Prophetic hadith), stooped to using fabricated material to legitimize doctrines (and practices) with no anchorage in the period of revelation. Even if pious preachers, Sufis and others had the best intentions, they used false evidence for even their good teachings, and those teachings were sometimes mixed with false, innovated doctrines. The need, then, is to clarify and affirm the right ways of doing tafsir. What follows is an adapted extract from our forthcoming study of Ibn Taymiyya’s Muqaddima: How to Understand the Quran. 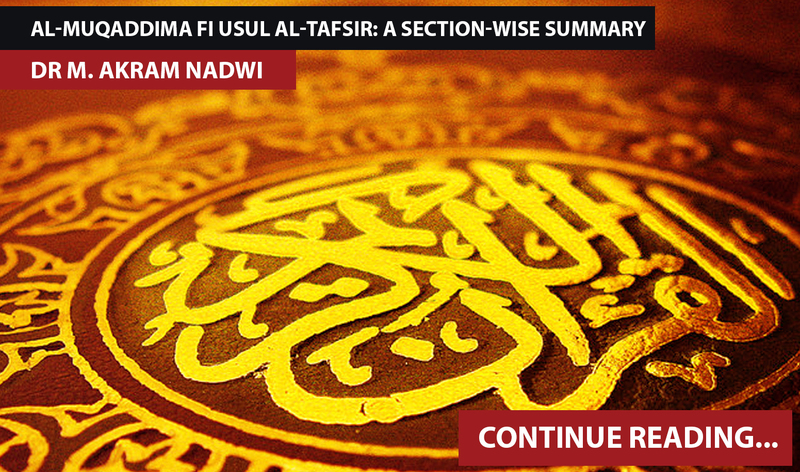 It is a summary overview of the Muqaddima fi Usul al-Tafsir intended to show how the different elements of its argument are connected and arranged. The opening supplication is followed by a statement of author intent. Ibn Taymiyya aims, in response to a request to do so, to explain the basics of how to understand the Quran. The relevant knowledge includes, on the one hand, what has been transmitted from the Prophet, the salaf and others and, on the other, what has been derived by reasoning. In both cases, some of the material is fit for purpose and some not, and criteria are needed to distinguish which is which. Every text requires that its meanings be understood, the more so for the Quran: it is not enough just to revere and recite it. For believers, felicity in this life and the next depends upon how conscientiously they strive to understand and live by it. The Prophet’s mission to convey the words of the Quran included making its meaning plain to all. (This implies that the Book is not an esoteric text disclosed privately to a chosen few but a revelation intended to be intelligible and public.) The Companions laboured intently for years to ‘preserve’ the Quran, verse by verse. This labour entailed, along with the technical skills of memorization and recitation, the practical competence to act in harmony with the guidance of the Quran. In their discourse on tafsir they had recourse to reasoned derivations and inferences, just as they did in their effort to implement the precepts and imitate the practice of the Prophet (the Sunna). In sum, tafsir is a practical skill, not a theoretical one, of which hifdh (memorization) is a part. The purpose of tafsir (as Ibn Taymiyya understands it) is analogous to the purpose of studying a living language, namely to use it in all the ordinary situations of life. It is by speaking their language that its people preserve it. (§15–24) Most of the differences found in the tafsir transmitted from the salaf are variant interpretations that are concordant, not conflicting. For unfamiliar words or proper names the salaf proposed near-equivalents that make the context accessible and indeed enlarge understanding of the several attributes and aspects of what is named (identified) in the text. (§29–37) Ibn Taymiyya views the historical occasions linked with particular Quran verses (asbab al-nuzul) as another form of illustrative example, enabling believers to situate the revelation (whether it is conveying commands, exhortations or information) more concretely, and thereby better understand it as guidance. (§38–41) Instances of conflict in the tafsir of the salaf occur where a word has two (or more) meanings that fit the context. Here Ibn Taymiyya concedes that the different explanations they propose are not necessarily concordant, nor all of them equally permissible. (§42–49) Among the near-equivalents proposed in the tafsir of the salaf, one can distinguish those that are more or less accurate in their grasp of the words and structures of the Quranic text. Ibn Taymiyya gives several examples of this, notably of misreading of the device of tadmin. However, in such cases it is the precise feel or force of the wording that is disagreed about, not its sense as far as actionable guidance is concerned. (§50–52) That issue arises where the Quranic text does not in itself indicate the solution to a practical problem, and there is no ruling on it from the Prophet. The example given is how (or if) to determine shares of inheritance in the unusual case of both a grandfather and brothers surviving the deceased – a situation that did not arise in the Prophet’s lifetime. It is on such marginal issues that, for want of evidence to decide the matter, the salaf disagreed on the solution. §53–54 The transmitted material (on which we rely for knowledge of the tafsir of the salaf) is either such that we can determine if it is true, or such that we cannot determine that. For what the Muslims need to guide their religious life, there is a sufficient supply of what we can be sure is true. 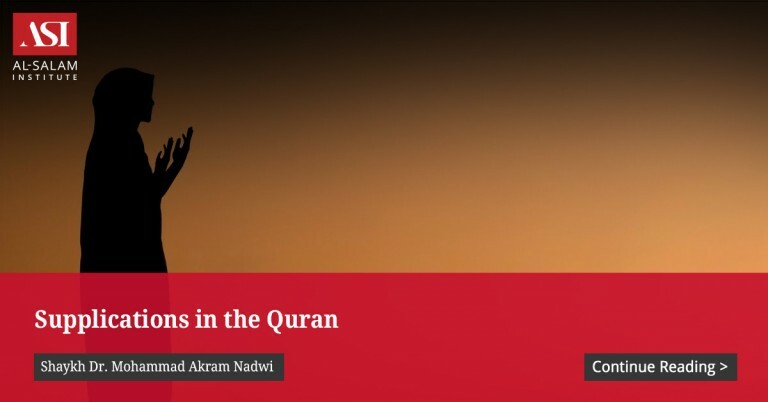 §55–61 Information that helps us identify names, places and incidents in the Quranic narratives is not open to reason: one must have a reliable source for it or be content with not-knowing. Some information derives from the People of the Book, and the Prophet cautioned his Companions to hear and reflect on their traditions without reporting them as true or false. In light of that caution, reports from the People of the Book coming from the Companions are safer than those from the Followers (who did not hear the Prophet’s caution directly from him). §62–66 Traditions about the Prophets are sometimes supplied with sources, sometimes not. Out of this material, for what is relevant to the religious life, there is evidence to decide between the sound and unsound. The literature on tafsir and on the military expeditions often contains material that is not sourced, or the sources are not properly connected. The people most knowledgeable about tafsir were (to begin with) mostly in Makka, about the expeditions those in Madina, and about dealings with non-Muslims those in Syria. §67–75 If (a) different reports about the same matter have reached us by different routes, and if (b) there is no evidence of collusion or deliberate falsehood on the part of the narrators, and if (c) the reports are appropriate to the matter being reported, then, overall, they are surely true. The point is to consider them together: a flaw in the chain of sources for one of them, or one of its narrators being known to have a weakness, or conflict on points of detail, especially in the extended hadiths with complicated matter, do not invalidate the reports overall. However, in such reports, the minute detail of wording or of incident cannot be regarded as confirmed true. 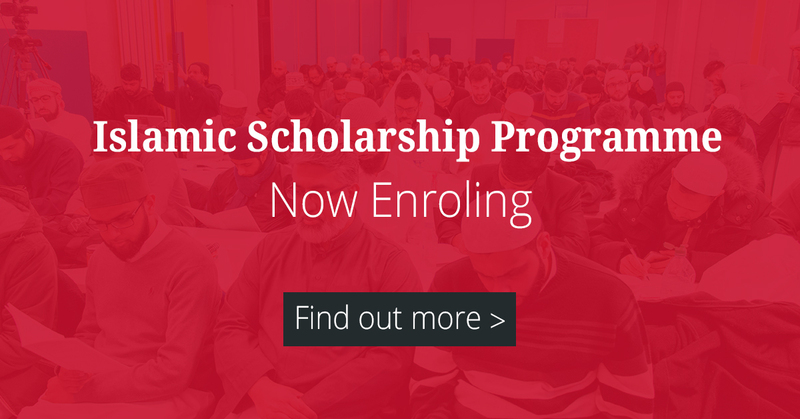 It is important to recognize the quality of the Companions on whom their students (Followers) and we rely for knowledge of the Prophet’s teaching. It is inconceivable that such people could intend falsehood against the Prophet – at most we need to allow for slips in memory. Then, among the Followers and their students, there were many hadith experts renowned for capacious and flawless memory and for rigorous scholarly habits. (§76–82) Given the divergence on detail of incident or wording in the transmitted material, it is important to await the consensus of ‘the people of knowledge’ among the Muslims as to what is relied and acted upon. Since the Prophet assured his followers that they would never agree upon an error, the status of a report as true or otherwise is securely established by the consensus of those expert in the sciences of hadith. The conditions (as above) for acceptability of a text are further tested by the scholars’ critique of the qualities of the narrators through whom the text reaches us. Some weak narrators’ reports may still be useful as secondary references to cross-check other reports; on the other hand, details within reliable narrators’ reports may be wrong when compared with the reports of other equally reliable narrators. (§83–90) Some people (notably speculative theologians) are quite ignorant of the hadith sciences and then reject sound and unsound reports indiscriminately. The opposite tendency is those who see a hadith with a chain of references and take it as sound, regardless of the scholarship about it, and then contrive the silliest interpretations to justify it. Some books of tafsir are loaded with reports that are, by consensus of the hadith experts, known to be fabrications: of many examples of these, the commonest are those narrated on the ‘merits’ of certain suras of the Quran. Ibn Taymiyya names some of the authors of such tafsirs. (§91–104) The salaf necessarily used reason in order to explain, understand and implement the Quran, but they did so within the boundaries of a framework secured in the methods and manners taught by the Prophet. Among later generations some scholars strive to do tafsir within those boundaries. Others use their reason in ways that disdain those boundaries. One way is that they work out ideas and doctrines and then they drag these into the words of the Quran, disregarding the plain import of those words. Another way is that they focus on the meaning of the words without concern for what is appropriate to their context, for who is speaking them and who is being addressed. In both cases, they introduce into their tafsir the errors in their doctrines (for which they are seeking Quranic authority), and the errors in their understanding of words. Even if sometimes their ideas are agreeable there is no evidence for them in the Quran. More often, they err in both the evidence and the propositions they base upon it. Ibn Taymiyya mentions some early sects among the Muslims who did this, especially the Mu’tazila, and how they (as sects always do) compounded and complicated their errors with inter-sectarian wrangling. This only multiplied the inconsistencies in the tafsirs that follow this way. (§105–116) The falsity of these tafsirs is plainly evident from their doctrines (which conflict with the consensus among the salaf) and from their rejoinders to rebuttals of their doctrines. Those with a special (philological or rhetorical) talent were able to sneak their doctrines into their tafsir in ways difficult for some to detect. The resulting misguidance paved the way for the philosophers and more extreme sects like the Qaramitis and the Rafidis. Tafsir degenerated to the point that the words of the Quran were treated as a cipher to be decoded. Thus, the verses (of Q. al-Tin, 95:1–3), By the fig, and the olive, and Mount Sinai, and this land made secure, were said (presumably by sectarian Sunnis, rebutting Shi’i‚ readings of this sort) to ‘mean’, respectively, the Companions Abu Bakr, ‘Umar, ‘Uthman and ‘Ali. Ibn Taymiyya explains this and other absurdities. Such tafsirs, in rejecting the ways of the salaf for the sake of doctrines not supported by the consensus of the Muslims, are innovating (i.e. making up the religion as they see fit) even if, insofar as their authors were striving for truth, their ‘errors are […] forgiven’. (§117–121) Ibn Taymiyya recapitulates the argument and reaches to the core reason for respecting the tafsir of the Companions: they ‘were more knowledgeable of the truth with which God sent His Messenger’. Once that historical connection weakened or was lost altogether, tafsir scholarship (as also scholarship on Prophetic hadith), stooped to using fabricated material to legitimize doctrines (and practices) with no anchorage in the period of revelation. Even if pious preachers, Sufis and others had the best intentions, they used false evidence for even their good teachings, and those teachings were sometimes mixed with false, innovated doctrines. The need, then, is to clarify and affirm the right ways of doing tafsir. (§122–24) The Quran is best explained by itself: what is summarily mentioned in one place is detailed in another, what is general in one context is particularized in another. If that does not suffice, it is obligatory to turn to the Sunna. The Prophet’s teaching and his judgements have, on the authority of the Quran, the binding authority of revelation, albeit a revelation that is not recited. (§133–139) Some Companions, with the caution commanded by the Prophet, gathered knowledge from the People of the Book. Some of this knowledge can be affirmed as true or false; about most of it – disputed among the People of the Book themselves – nothing needs to be said: it has no bearing on our religious life. The disagreement arising from this knowledge concerns only identification of minor details in some of the narratives in the Quran. The proper manners about this are taught in the Quran (al-Kahf, 18:22) – accept what God has made known as known; do not spend time guessing at the unknown. It is best to gather all the sayings on such issues and quickly determine what (if any) benefit there is in discussing them so that one can move on to more important matters. Failure to look at all the sayings on such issues leads to declaring something as true that is not so, and intensifies discourse on matters that are of no benefit. When the tafsir of the Quran by the Quran and Sunna and by the Companions does not suffice, reference is to the sayings of the Followers, like Mujahid b. Jabr and others, who spent their lives as students of the Companions. To the undiscerning, their explanatory expressions may appear dissonant, but it is not so. Some of them explain a matter by what it entails, some by a parallel expression, some by stipulating a particular instance of it, but in many contexts all of them point to the one-same meaning. Where they agree, their consensus constitutes a proof. Where they do not, the saying of one is not decisive against that of another. In that event, one has recourse to the language of the Quran or of the Sunna or the general meanings of the Arabic, or the sayings of the Companions. Citing a Prophetic hadith (recorded as gharib by al-Tirmidhi), Ibn Taymiyya describes explaining the Quran by personal viewpoint (that is, without any basis in knowledge of the tafsir of the salaf) as haram. According to the hadith, even if one who does this turns out to be right in his explanation of the Quran, ‘he has erred’. A large number of Companion reports (recorded as Sahih in many compilations) are cited to demonstrate that some of them considered doing this equivalent to narrating on the authority of God. When asked about what they did not have knowledge of, they would turn away without answering or with a severe warning. There is an obligation to be silent, just as there is an obligation not to withhold knowledge of the religion if one has it. Thus, the salaf ‘spoke on what they knew about, and they were silent as to what they were ignorant of’. By way of final summary, Ibn Taymiyya quotes Ibn ‘Abbas saying that in tafsir there is what every believer must know – ignorance of it is not excused; what the Arabs know by virtue of knowing Arabic; what the scholars know; and what is not known except to God.